Today, it’s pretty much a given that a company has a website. It’s their online business card with drop-down menus. The challenge now becomes making your website more appealing and informative than the competition. You want a website that works for you and helps turn site visitors into new customers. 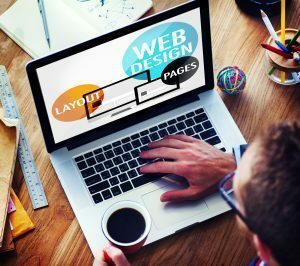 You need a Naperville web design company that knows what it takes to make eye-catching websites and here at Design & Promote, we’ve been designing exceptional websites for over 10 years. To learn more about our Naperville web design process or if you have any questions about digital marketing for your website, call us at 630-995-7109 today. You can also get in touch with us by filling out the contact form located on this page and one of our web design specialists will be in touch as soon as possible. Here at Design & Promote, we don’t use template websites for our clients. When you work with us you are getting a fully customized website that is innovative and works for you by having some marketing elements built in. Our focus when it comes to designing your new site is visibility, usability, and converting your website’s visitors into your new customers. We are always keeping up with trends and website design technology to deliver fast websites that are smooth and intuitive. User experience is of the highest priority and your website will be functional, fun to use, and most importantly, responsive. This means that your website can adapt from desktop to phone, then tablet without the user losing out on features and functionality. If your company is looking to revamp its website or if you are in need of a website, give us a call today at 630-995-7109. You may also fill out the contact form on this page and we will respond to your inquiry shortly.